This would be my second chance to challenge my self on a bothering issue! When ever I think about something, the simplest thing for me to do is to put my aims in front of me, and set my concentration on it, until I reach them one by one. I would be really patient and wait even if it takes long time! The important thing is to reach my goal and make my dreams come to reality. Now since I am able to achieve my goals, why I am finding it hard to make a serious decision that is really worth the challenge!? Every night when I am in my bed and just before sleeping I think about this issue. And between me and my self, I say "Tomorrow I will take a step further toward this issue". When I wake up in the next day all the serious thoughts just vanish and disappear! This time I will give my self a second chance, and I hope god will give me the strength to do it. If I did it! 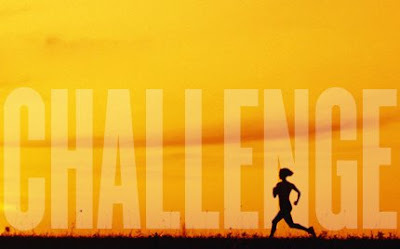 this would be the best challenge ever I made in my life, and I would owe my self a good gift :). Self Challenge!! I used to challenge my self, it depends on the situation it self. Hope you managed to do it this time :) it needs some effort. I won't give up! will give it another try.